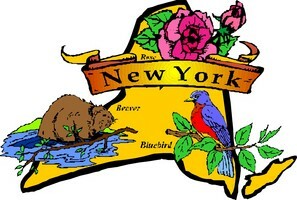 New York State is not doing away with the STAR Exemption program! The STAR Exemption is New York State’s School Tax Relief Program. It has been around for over 15 years helping provide tax relief to homeowners on their school tax bills. If you qualify it lowers your school property tax with a rebate program. Any New Yorker who owns and lives in their one, two, or three family home, condominium, cooperative apartment, manufactured home, or farm dwelling can be eligible for STAR on their primary residence. The applications are found online or at the local town or city assessors office where taxes are paid for that property. The Basic STAR exemption is what almost all of my clients qualify, is easy. If you own the property, use the property as a primary residence and make less than $500,000 annually you will more than likely qualify. The Enhanced STAR exemption is for seniors age 65 and older, adding further assistance to reduce the school tax burden on a personal residence. One person in the household needs to be 65 by December 31st of that year. The requirements to qualify are the same as with the Basic Star with the exception of the amount of income. The amount that can be earned changes and therefore you will need to check with your local municipality. There is no change to the amount of the STAR benefit that homeowners will receive, but the process of how to credit a homeowner has. In the past after you closed on a home, you headed to the town assessors office with a copy of your new deed and filed the form for an exemption that would lower your school taxes if you qualified. After that your bills would directly reflect the amount due. If you were paying your mortgage with an escrow account, then the payments were reflected in that amount in your monthly payment. The changes apply only for new homeowners that purchased a home in New York State, on or after March 1st of 2015. The new process will come in the form of a rebate. Those checks will be a sent out in September, rather than credit an owner on the actual tax bill. If you purchased a new home and never filled out the forms for the STAR Program, make sure to get your application in. You already missed out for this year, but you don’t want to forget. File the form and then next year you will be included in the rebate program. The new payment structure is in the form of a once a year rebate check. This year, around May 1st, 2016 homeowners that will be subject to this new payment structure should be receiving a letter from the local tax office. The letter will provide information on the time-frame, and all the details. Be sure to watch for the letter so you won’t miss any deadlines. The rebate is money that the state owes you, so be sure to apply and take advantage. There is no change to the amount of the STAR benefit that any homeowner will receive. If you are looking to buy a home in New York State and you have heard all about the the STAR Exemption program and how you can qualify for lower school taxes this is of interest. If you are buying a home with a bank loan, the exemption is not reflected in your monthly payments. You will be getting the money, but in the form of a check back to you. A forced savings plan? Probably not, as they get your money upfront while you are waiting to be reimbursed from them. In any event, it is your money so be sure to file now if you haven’t and if you don’t get a letter in May, be sure to contact the town and make sure that you are on the list. Your local town, city of village assessors office can also help and applications should be on their websites too. If you are looking at homes for sale in the Hudson Valley be sure to contact me for more information on homes for sale. Local information on properties, and more is at my fingertips. Let’s get started to find you a home.